[Inven Game Conference Speaker] Yuya Tokuda joined Capcom in 2004 as soon as he graduated college and has been with the Monster Hunter series ever since. He has been the lead designer for Monster Hunter 3 Ultimate, Monster Hunter 4, Monster Hunter 4 Ultimate, and is now the main director for Monster Hunter: World. On the last day of the Inven Game Conference 2018, Yuya Tokuda held a lecture about the concept and level design of Monster Hunter: World. 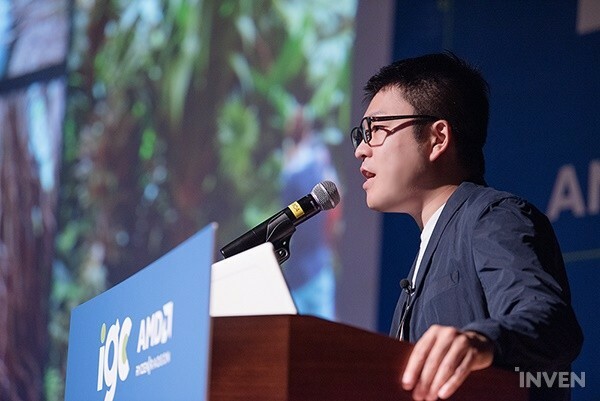 In the lecture he talked about the changes that MHW had to go through in order to be a globally recognized IP and how he designed the base concept of the game, including the field and the monsters. 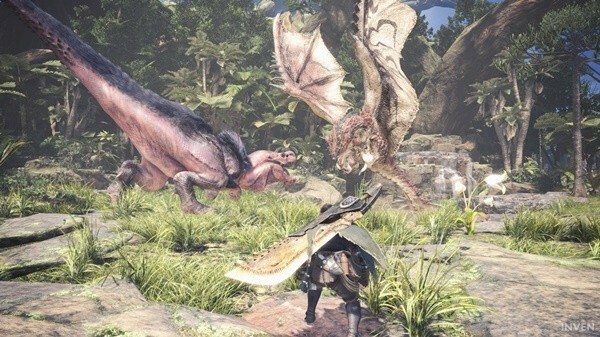 MHW has sold the most number of copies and received the highest score in Metacritic among all of the Monster Hunter series. On the day of the lecture, the lecture hall was filled with fans who love MHW and the developers who want to hear from Yuta Tokuda. Tokuda Yuya’s first encounter with Monster Hunter was the trailer that was revealed at the 2003 E3. He was mind-boggled by the trailer and was immediately captivated by the game’s concept where monsters are not just things that you have to kill but are part of the ecosystem. He decided to join Capcom because of the impact that the trailer had on him. After joining Capcom, he participated in the development of most of the Monster Hunter series and designed many monsters like Rajang, Lagiacrus, Narugakuruga, and Zinogre. In 2014, he became the main director for the latest installment of the franchise, Monster Hunter: World. Ryozo Tsujimoto, the producer, asked Yuya Tokuda to develop a game that meets three conditions. The conditions were: 1) to develop a new generation of the Monster Hunter series that can maximize the benefits of a console device, 2) to develop a Monster Hunter game that not only gamers in Japan but also global gamers can enjoy, and lastly 3) to release the game by the end of 2017. With those in mind, the core concept of MHW that Tokuda developed were as follows. 1. Develop a game that maximizes the benefits of a console device: Aim for a top quality triple-A game that uses a high-end platform. 2. 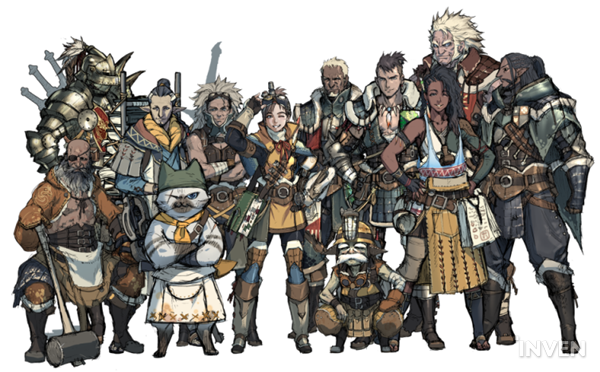 Develop a new generation of the Monster Hunter series: Elaborate the good features and change the old features so the game can be the base for the future games for the next 10 years. 3. 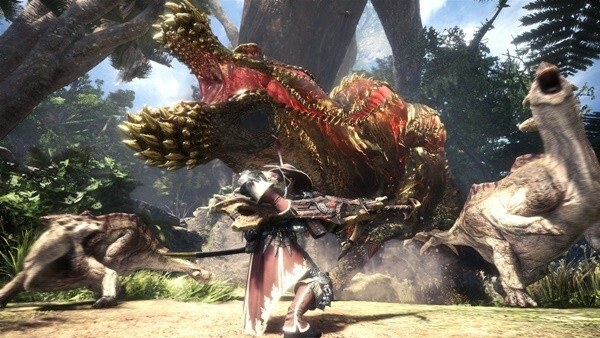 Develop a Monster Hunter game that the gamers that are completely new to the series can enjoy right away: The game should be friendly to new players, both to Japanese players and to global players. Very detailed instructions must be given, but should not focus on global players only. After deciding on the core concept, Tokuda started developing a Monster Hunter game that expands the good features and reduces the bad features so new gamers can easily enter the gameworld, but still keeps the core elements of the series. The good features of the Monster Hunter series were multi-play action and the fact that the game is always entertaining even when you repeat the same gameplay over and over. The bad features are slow game progress, complicated controls and system, and the entry barrier for new players. ▲ The Monster Hunter series was known for its complicated controls. The Universe of Monster Hunter: World - where both new and experienced players start new adventures in the New World. The main story of MHW takes place in the New World, so the players who have not played any Monster Hunter series before can enjoy the universe too. 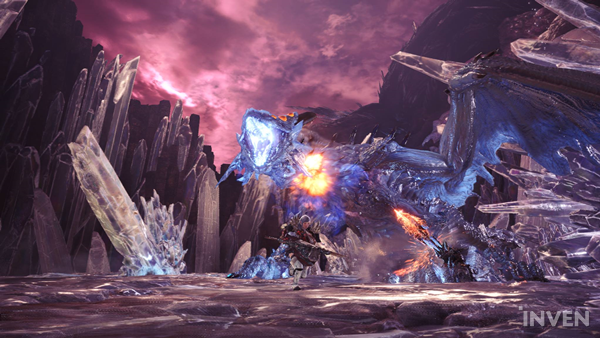 The fun of discovering new areas and achieving goals with your companions in the Research Commission are the basis for MHW. The Best Multiplay Action - Solid and Astonishing Action! In order to make the character action more natural and smooth, Tokuda developed an animation where the characters change angle and direction. He also allowed for hunting that utilizes the ecology of monsters like chasing the player all the way when enraged or seeing any living thing as food when hungry. The action almost never stops in MHW. You can drink potions while walking, reload ammunition while moving, etc. Everything was designed for solid and engaging action. The biggest difference between the former Monster Hunter games and MHW is that MHW is an open world game. But Tokuda thought that simply making a vast open field would not make MHW different from any other games and would kill the distinct characteristics of the Monster Hunter series. That is how he came up with the idea of a “dense open world” where players can hunt monsters using the environment and ecology. Tokuda explained that the reason he removed the loading between the areas is to make one grand ecosystem. If there are no barriers between areas, different forms of gameplay like luring other monsters using Herbivore monsters and making two monsters fight each other are possible. ▲ Instead of multiple divided areas, a single boundless ecosystem was born. After working on the base concept of the game, Tokuda began to consider what technology would be required, how much human resources are needed, and how fun the game would be. He began to work on the prototype for MHW. He had to pre-examine how the dense open world functions and what level of action is possible without any weapons and only utilizing the environment/ecology. In the development of the prototype, visualizing the written script of the game was the most important part. 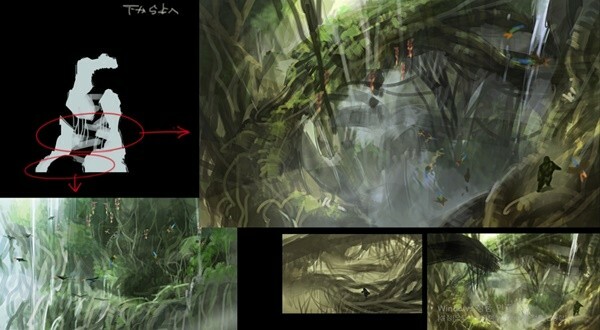 Highly detailed concept art showing the geography of the field were created. Tokuda believed that in order to create a dense field, the developers must know the structure of the field very well. Tokuda revealed the videos for the prototype which were created in April and October of 2015. The MT Framework engine was used for the first video, and the Monster Hunter Nintendo 3DS version engine was used for the second video. He pointed out that you can see how the graphics dramatically evolved in 6 months. The video features a spider trying to escape from a collapsing web, a lizard on a tree, and the Scoutfly going into hiding when aggressive monsters appear. The video also shows a dark area which is currently not in the game. 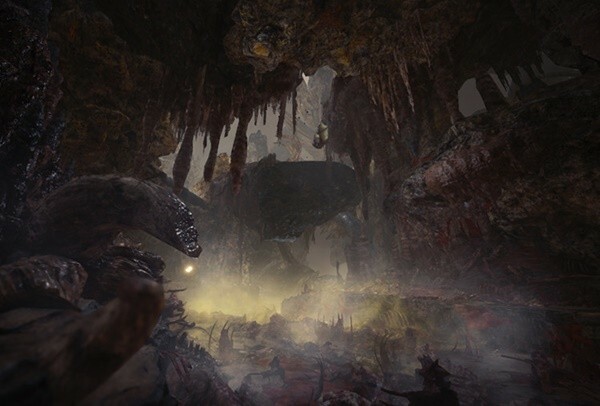 The dark area was included in the prototype to test what the minimum amount of light required to play the game is, but was not implemented to the game in order to make MHW more newcomer-friendly. 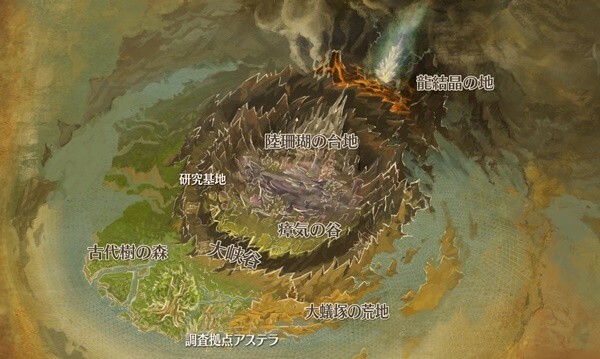 Tokuda added that the dark area is a fascinating area and he wants to add it to the game in the future if possible. ▲ The prototype of Monster Hunter: World (10.30.2015) - the first 7 minutes of the video are the same but more features are added toward the end of the video. After showing the video, he added an explanation about the Lagiacrus that appears at the end of the video. As one of his favorite monsters, Lagiacrus was originally designed to be the monster that is at the top of the ecosystem along with Rathalos. However, due to the enormous amount of cost it takes to add a skeleton of a monster with a long neck, Lagiacrus had to be temporarily removed from the game at the time of the game’s initial release. After developing the prototype, Tokuda realized that the team lacked a precise goal and communication. The features that were in the previous Monster Hunter games were developed without any troubles, but the new features were not, unless the director straightforwardly told the developers what to do. If the director and the developers don’t communicate about what features are being created, what the features lack, and what to do next, the time it takes to make the game better will increase exponentially. In order to solve this problem, he visited and talked to every single person on the team every morning, and told them directly about the next goal. He said that making the PDCA (Play, Do, Check, and Action) cycle go faster will increase the efficiency and greatly improve the game’s quality. 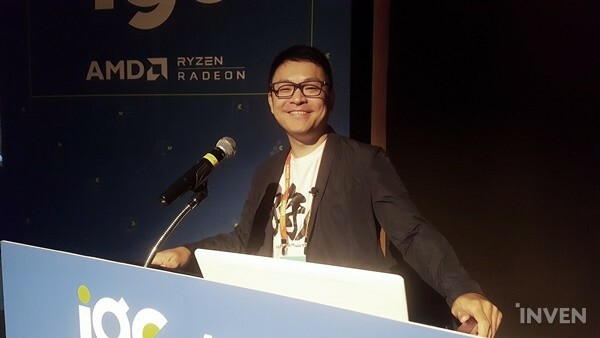 Tokuda thought that the game needed at least 5 different types of fields for the best game experience. He designed 5 fields with different environments, including a forest, valley, and desert. Each field has a contrasting mood and offers a distinct experience. The Ancient Forest, the first map the player encounters when playing MHW, is a dense area with a highly systemized and dense ecology. The area is reminiscent of the movie Jurassic Park. When designing monsters, creating a solid ecosystem with the right food chain was the first step. If there is an Herbivore monster in the field, a relatively weak monster that preys on the Herbivore should live in the same field, and there should be a stronger predator as well. Starting from the small insects, Herbivores, Great Jagras, and Anjanath live in the Ancient Forest, and the Rathalos sits at the top of the food chain. The map had to be designed again to match the ecosystem. The outer part of the island where weak monsters live consists of plains and prairies, and as you go deep into the island where stronger monsters live, the island is packed with tropical forest and huge trees. Other environmental factors that players can utilize are areas that give the player a wide view, spots that the player can hide, falling rocks, and paralysis toads. These factors decide the difficulty and balance of the field. The most important thing in adding different environmental factors to each field is to tell the person who is in charge of the area the exact trait and difficulty of the field. Tokuda explained that in order to balance different fields, he always had to think about what features should go in which field. ▲ The team went for a video shoot to develop more detailed and realistic environments. He also added that the reason the field in the prototype and the actual game are different is that in the actual game there are more large monsters, not just the Anjanath and Lagiacrus. The game had to be capable of having all the large monsters in the field. 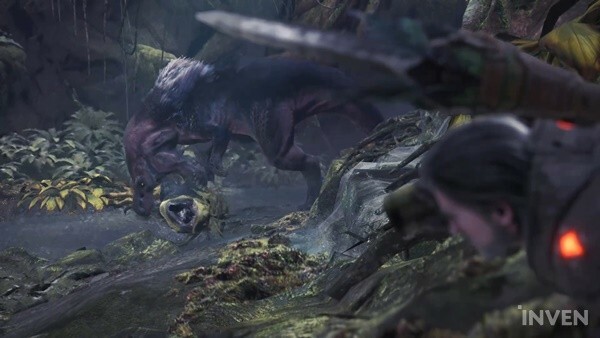 When developing MHW, Tokuda received a report that it would take about 7 and a half years to develop all the fields including Ancient Forest. If it stayed the same, it would be 2022 when MHW is finally released. Something had to be done. The developers came up with some technology that makes an asset look completely different if viewed from another angle and placed the in-game objects using this technology. They simplified the process and sped up the development. Other things like cooperation with another company and changing the release date helped the development as well - and luckily, fans did not have to wait until 2022. ▲ The shader that was used in developing the geographical features in MHW. ▲ The map was created by adjusting the angle and size of the assets. The dark and shady Rotten Vale is Tokuda’s favorite area. He once saw a documentary film that shows how a small ecosystem is born and lasts for 10 years from a whale’s dead body. He thought, if it takes 10 years for a whale to decay, what kind of ecosystem will born from a gigantic dragon’s grave? This question gave him the basis for Rotten Vale. A lot of open world games have realistic in-game fields, but Rotten Vale was designed to show an unrealistic and atmospheric mood not found in reality. Wildspire Waste was designed to give a sense of openness and a hunt within a vast area. Tokuda wanted to add underwater combat for Wildspire Waste, but it would have taken too much effort to add new underwater monsters and the game would not meet the deadline for release. The water monster Jyuratodus and a marshland were added instead of underwater monsters. The Coral Highlands is a map that was designed from a question “what if marine organisms lived in the highlands?” The difference in geographical elevation, wind, and the eggs of highland corals are the basis for the ecosystem. Lastly, Elder’s Recess is a field with a lava base and crystals which are designed to give the feeling of an epic battle. Because the monsters are powerful, the geography is rather simple so players can move around smoothly. To wrap up the lecture, Tokuda shared his idea on what should be the core element of field level design. First, the field must be visually amazing and must not get repetitive. This is very important for a role playing action game like the Monster Hunter series. A lot of different scenarios are placed in the map so the field does not always feel the same. 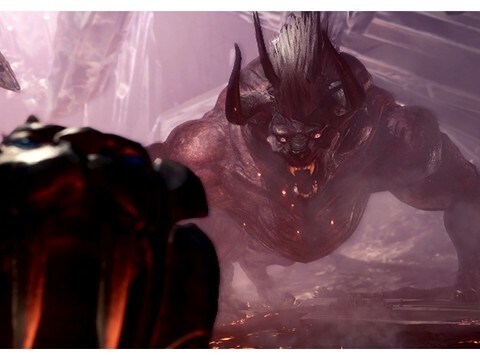 Even when you are hunting the same monster multiple times, you can use different environmental elements each time or a foreign monster from another area might invade and attack the monster you want to hunt. Bazelgeuse is one of these random aspects. Second, when developing a three-dimensional structure, it is important to keep a core rule in mind but be flexible with trial and error. The core rule here means the angle of a slope, the area of a path, and the geographical elevation where monsters and players can smoothly move. Lastly, in order to create a dense environment, the devs must map out what object will go where and what the field will look like overall. When designing the field, each developer is responsible for a different area and sometimes the completed field looks unharmonious. The director must present a straightforward image and a precise description of what the field must look like, and the developers must check the progress with the director. This process will definitely lower the chances of unsatisfying results, and increase the chances of successful field level design.